Terry Pegula cashed in when he sold the bulk of his hydrofracking business in 2010 for $4.7 billion. He used a chunk of the change to buy Buffalo’s two major league teams, and made it clear when he purchased the Sabres that he was in it for the sports, not the money. “If I want to make some money, I’ll go drill a gas well,” he quipped at a press conference. Pegula is, in fact, drilling other wells. He started another fracking company—JKLM Energy, drawing on the first letters of his children’s names—and has been drilling the past three years around Coudersport, Pennsylvania, once known as the home of John Regis and his now-bankrupt Adelphia Cable. While widely regarded as a benevolent figure in Buffalo—or, Pegulaville, as some have dubbed the city—his fracking company is held in lower regard in some quarters in Coudersport. His fracking wells have punctured the quiet, pristine countryside and been cited for more violations of state regulations per active well than any operator in the state in recent years, according to a report released last spring. “The company has had repeated problems properly constructing and operating wells and was cited for polluting water, including groundwater contamination,” according to PennEnvironment, a watchdog organization critical of the fracking industry. An Investigative Post review of state records found the company was cited for violations during 20 inspections over the past three years and assessed $508,317 in fines in the process. Violations include the improper design and construction of wells, use of unapproved chemicals, and contamination of water supplies. JKLM Energy officials refused to comment for this story. Scott Blauvelt, a senior company executive, and David Callihan, the firm’s publicist, failed to respond to numerous phone calls or emails. An attorney who represents the company declined to comment. A spokesman for Pegula Sports and Entertainment in Buffalo did not respond to an interview request with Pegula. Despite the JKLM’s regulatory woes, Pegula’s company has its share of supporters in Coudersport. They note that JKLM and its subcontractors are major employers in the region and that fracking provides local governments with well over $500,000 a year in impact fees. The company has also made charitable donations to some 15 community organizations, including schools, libraries and the volunteer fire department. Others are concerned, including Melissa Troutman, a local resident and executive director of Public Herald, an investigative reporting center that covers the fracking industry. “We have some of the most pristine water quality in the state and there are a lot of people who don’t want to see it threatened or put to risk,” she said. Pegula got into the fracking business in 1983 with a $7,500 loan from friends and family. His sale of the company in 2010 to Royal Dutch Shell netted him about $3 billion as majority owner. He subsequently sold company assets in Ohio and West Virginia in 2014 for $1.75 billion to American Energy Partners. Pegula has spent a fair amount of his fortune on sports ventures. He first gave his alma mater, Penn State University, $88 million to build a hockey rink and start a Division I program. He then spent $189 million to acquire the Sabres in 2011 and later dropped $172 million, assisted by $57 million in taxpayer subsidies, to build the hockey-themed HarborCenter adjacent to the Sabres home rink. Pegula outbid Donald Trump to buy the Buffalo Bills for $1.4 billion in 2014, prompting a huge sigh of relief from a community that had lived in fear of the team relocating upon the death of longtime owner Ralph C. Wilson. 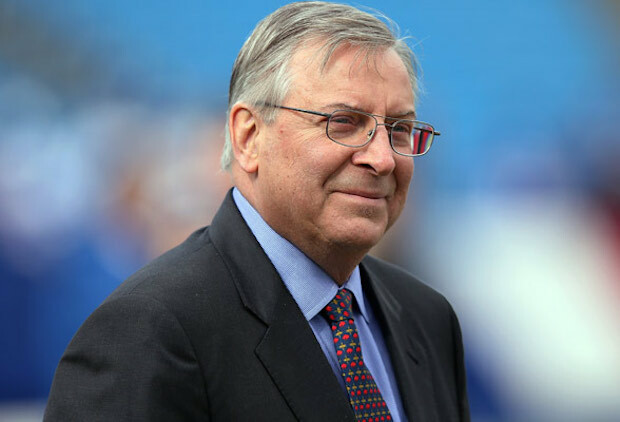 Pegula and his wife Kim, who live in Boca Raton, Florida, also operate Pegula Sports and Entertainment in Buffalo, as well as several other professional lacrosse and minor league hockey teams. Pegula’s spending hasn’t been limited to Buffalo; of late he’s also made substantial investments in getting JKLM Energy off the ground in his native Pennsylvania. Natural gas is considered a relatively clean fossil fuel and bridge source of energy until renewables such as wind and solar power are produced on a mass scale. But extracting the gas can be environmentally messy. The gas resides in shale rock deep underground and is extracted through a process commonly referred to as hydraulic fracturing, or fracking. To free the gas, crews drill a vertical, then horizontal shaft that can be up to a mile deep and another mile long. The shale rock is then blasted with a cocktail of water, sand, and chemicals. Gas is released from the rock and pumped to the surface, as is much of the wastewater, which is retained and either treated or injected underground. The fracking process can result in serious environmental problems that include the contamination of underground water, air pollution caused by drilling operations, and difficulties containing or cleaning the sludge water used in the drilling. Fracking can also raise havoc with residents living near drilling sites. Troutman, the journalist, lives about a mile from a JKLM drilling site near Coundersport and said fracking is disruptive. “You can hear, it’s almost like a high-pitched vibration sound, and you can actually feel a vibration inside the house while you’re in bed and that, coupled with the truck traffic all night long, makes it very hard to sleep,” she said. The fracking industry is heavily regulated in Pennsylvania, although many activists complain that the state Department of Environmental Protection is a lax enforcement agency. PennEnvironment, the nonprofit watchdog group generally critical of fracking, said in its report last year that regulators conduct fewer inspections than mandated by state law and frequently decline to issue violations when companies volunteer to correct problems. Nevertheless, fracking operators are frequently cited for violations, including companies owned by Pegula. A review of studies and public records by this reporter in 2010 when working for the Buffalo News showed East Resource Management had a middling record of complying with environmental regulations. One study by the Pennsylvania Land Trust Association covering 2008 through August 2010 found the company ranked seventh worst among 45 companies, with 4.1 violations per well, compared to an industry average of 0.65. “The compliance history of the company when it was in his [Pegula’s] hands was mediocre at best,” Jan Jarrett, then president of PennFuture, an environmental protection advocacy organization based in Harrisburg, told the News in 2011. A sister company, East Resources Inc., had a better compliance record, and the combined records of the two Pegula companies worked out to a slightly better than average rate of violations, according to the News analysis. JKLM Energy, based in suburban Pittsburgh, has also been frequently cited by state inspectors since it began drilling operations in Potter County in 2015. While a relatively small operation, with just 48 active wells, the company appears to have ambitious plans, as evidenced by the 120,000 acres it has leased. That’s more than three times the landmass of the City of Buffalo. Companies with larger operations have been cited for more violations by the state Department of Environmental Protection than JKLM. But PennEnvironment, in the report issued a year ago, calculated that JKLM had the most violations per active well, according to an analysis of data from 2008 to September 2016. JKLM averaged 0.97 violations per active well, according to the report. The second worst operator had 0.45 violations. An Investigative Post review of state records found inspectors cited JKLM for 62 violations during 20 inspections from June 2015 to April of this year. The most serious episode occurred in September 2015, when state records show JKLM crews injected unapproved chemicals underground in an effort to recover a drill bit they had lost while drilling at its North Hollow well pad. The drinking wells of six nearby homes were contaminated and the incident prompted authorities to temporarily shut down public water supplies that served Coudersport and its community hospital, state records show. The state fined the company $472,317. Wells at the location were plugged and JKLM was given until this July to complete remediation of the site. “This was a serious incident that may have been prevented if JKLM had used better judgement at the time,” John Ryder, the state’s director of oil and gas operations, said when the fines were announced. In separate inspections, the state fined JKLM $36,000 for violations at different drilling locations cited in January and March 2017. Among the violations: failure to notify regulators of an accident, such as a spill involving drilling fluids. In total, JKLM has been cited at least four times for failing to report accidents, according to inspection reports. 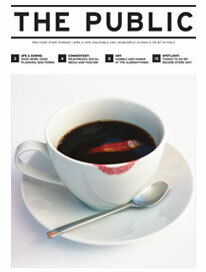 State regulators aren’t the only ones keeping an eye on the company. Law enforcement agents of the Iroquois Confederacy told Investigative Post they have been monitoring JKLM’s activities since December. “We’re in the woods, we’re in the rivers,” said Nicholas Snow, chief federal marshal. Snow said his team has observed activity by JKLM or its subcontractors that he believes constitutes violations of both state regulations and treaty obligations. The marshalls are continuing their investigation and Snow said the Iroquois will consider taking legal action in federal or Native American courts if necessary. Correction: The original version of this story included an error that was the result of a misinterpretation of documents obtained from the Pennsylvania Department of Environmental Protection. The story incorrectly reported that Pennsylvania authorities cited JKLM Energy for violations during all 20 inspections it has conducted since 2015. While the company was cited for violations during 20 inspections and fined $508,317, the state actually conducted more than 20 inspections. Investigative Post has thus far been unable to determine the precise number of relevant inspections. Jim Heaney is founder and editor of Investigative Post, a nonprofit investigative journalism center focused on subjects of importance to Buffalo and Western New York.